Kedai Makanan Dan Minuman Lok Kyun (乐群酒家) is a popular kopitiam in Tuaran. 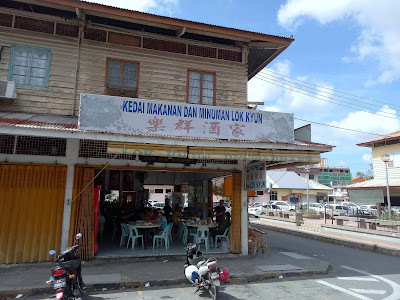 The eatery is known for its signature Goreng Tuaran Mee (炒斗亚兰面, RM7.00). The recipe is so popular that it has inspired similar dishes in Tamparuli and Kota Kinabalu. 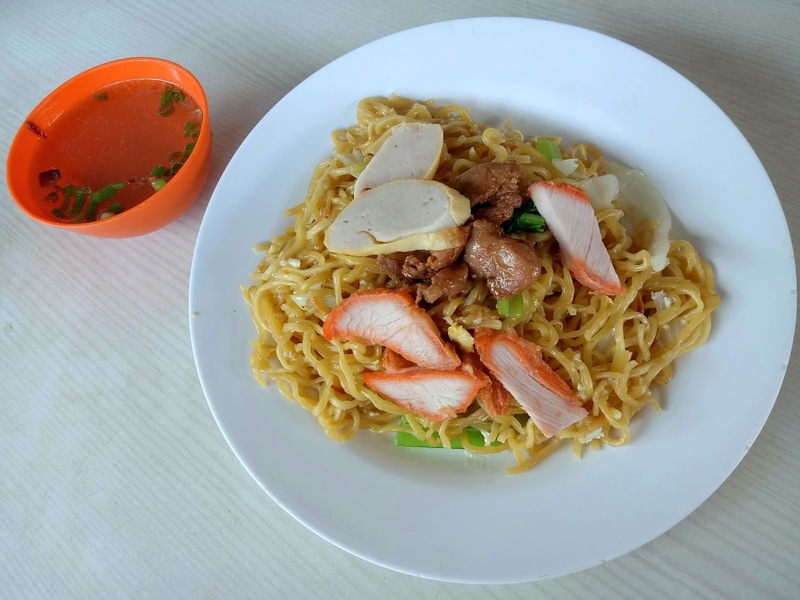 Tuaran Mee uses springy noodle made from flour and egg yolks. The noodle is first deep-fried in oil, and then stir-fried with eggs for the rich eggy taste. The dish is also served with Tenom rolls (蛋卷), barbecued pork (叉烧), sliced pork, vegetables and a bowl of soup. Overall, Tuaran Mee has a satisfying mouthfeel and taste due to the generous amount of eggs. Despite being an hour away from Kota Kinabalu, the journey to this shop is certainly worth the time.